Zion Market Research has published a new report titled “Lithium-Ion Battery Market by Power Capacity Segment, Lithium-Ion Battery Market Has Been Segmented Into 5–25 WH, 48-95 WH, 18–28 KWH, 100–250 KWH And More Than 300 KWH for Include Automotive, Aerospace and Defense, Consumer Electronics, Industrial And Others Application – Global Industry Perspective, Comprehensive Analysis and Forecast, 2016 – 2022”. According to the report, global lithium-ion battery market was valued at around USD 31.17 billion in 2016 and is expected to generate revenue of USD 67.70 billion by end of 2022, growing at a CAGR of slightly above 13.70% between 2017 and 2022. A lithium-ion battery is an electric device capable of charging and discharging. They are broadly used as a power supply consumer electronics as well as hybrid and electric vehicle. The four materials are used in lithium-ion batteries are cathode material, anode material, separators, and an electrolytic solution. Lithium-ion batteries markets grow at fastest rate due to its adoption in numerous consumer electronics such as smartphones, tablets, digital cameras and MP3 players, among others. Lithium-ion (Li-ion) batteries are one of the most popular batteries in the world due to the worldwide use of mobile phones and laptop computers. Furthermore, the demands for Li-ion batteries in the automobile industry due to increasing demand for electric vehicles. Browse through 29 Tables & 20 Figures spread over 110 Pages and in-depth TOC on “Global Lithium-Ion Battery Market: By Type, Application, Size, Share, Analysis and Forecast 2016 – 2022”. A lithium-ion battery or Li-ion battery is a rechargeable battery wherein lithium ions move from the cathode to the anode during discharge and back when charging. Li-ion batteries use an intercalated lithium compound as one electrode material, compared to the metallic lithium used in a non-rechargeable lithium battery. Lithium-ion batteries are mostly used for consumer or home electronics. They are one of the most popular types of rechargeable batteries for portable electronics, with a tiny memory effect, high energy density, and low self-discharge. LIBs are also growing in popularity for military, battery electric vehicle and aerospace applications. The increase in demand for electric vehicle and smart devices and other consumer electronics are anticipated to boost the lithium-ion battery market over the forecast period. Strict Government regulations to control increasing pollution are likely to trigger the market for a lithium-ion battery. However, fluctuating price of lithium-ion batteries may hamper the market. Nonetheless, increasing use of new technologies in lithium-ion batteries is likely to provide lucrative growth opportunities in the forecast period. On the basis of type, the lithium-ion battery market segmented into lithium nickel manganese cobalt (LI-NMC), lithium iron phosphate (LFP), lithium cobalt oxide (LCO), lithium titanate oxide (LTO) lithium manganese oxide (LMO), and lithium & nickel cobalt aluminum oxide (NCA). Lithium nickel manganese cobalt (LI-NMC) is one of leading segment of lithium-ion battery. This type of batteries is used in application areas like e-bikes, power tools, medical equipment, and other electric powertrains. LFP battery is also called Lithium iron phosphate (LiFePO4) battery. Based on power capacity segment, lithium-ion battery market has been segmented into 5–25 Wh, 48-95 Wh, 18–28 KWh, 100–250 KWh and More than 300 KWh. Low power lithium-ion battery (5-25 Wh) segment is one of the leading segments of lithium-ion battery market and accounted for over 32% of the total market in 2016. 18-28 KWh segment is another key outlet of the market and expected to exhibit significant growth within the forecast period. Some of the key applications of the lithium-ion battery include automotive, aerospace and defense, consumer electronics, industrial and others. Consumer electronics application segment held the largest market share for the lithium-ion battery in 2016. This segment is expected to continue its dominance in the global market throughout the forecast period due to growing demand for low power capacity lithium-ion batteries to be used in smartphones and tablet. It is followed by automotive and industrial segments. Geographically, Asia Pacific is expected to lead the market and emerge as a fastest growing region in the forecast period due to the rapid growth of the consumer electronics and automotive industry in China, Japan and India. North America is one of the largest markets for lithium-ion battery in 2016. Europe is expected to grow at a significant rate due to the surging demand for lithium-ion battery from the automotive industry. 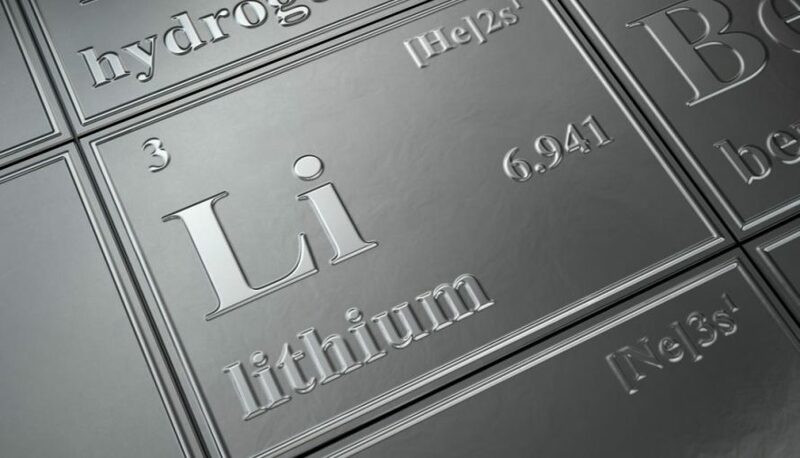 Some of the key players for global lithium-ion battery include Panasonic Corporation, Hitachi Chemical Co. Ltd., BAK Group, Johnson Controls, Inc., Samsung SDI Co. Ltd., LG Chem Power, Inc., Toshiba Corporation, GS Yuasa Corporation, BYD Company Ltd., and Valence Technology, Inc. among others.